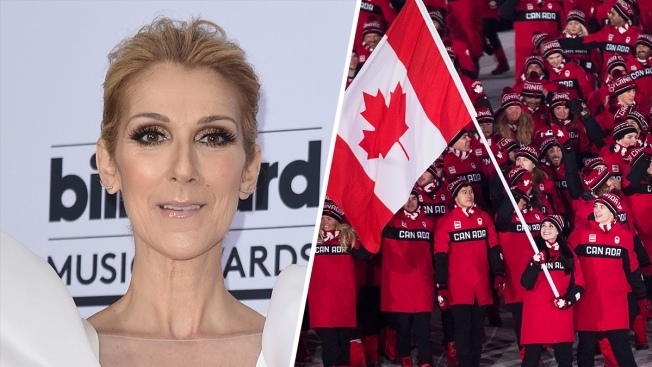 Fans responded to the hilarious video, with one tweeting that it’s "the most Canadian thing ever"
Celine Dion attends the Billboard Music Awards (L) and Team Canada walks at the opening ceremony in Pyeongchang for the 2018 Winter Olympics (R). When Canadian athletes are not winning medals in Pyeongchang, they sing their hearts out to Celine Dion. Freestyle skier and gold medalist Mikael Kingsbury posted an 18-second video to Twitter Friday that shows a bus load of Canadian athletes belting out “My Heart Will Go On," the theme song from "Titanic." I'm bleeding maple syrup from this. Fans responded to the hilarious video, with one tweeting that it’s "the most Canadian thing ever." Another said, "I'm bleeding maple syrup from this," to which Team Canada wrote back, "you might want to get that checked out by a doctor." It was not clear if Canadian Olympic skier David Duncan was one of the athletes participating in the sing-along. Duncan, his wife and a coach were detained and later released after allegedly stealing a car while intoxicated near the Pyeongchang athletes village. Kingsbury tagged Dion in his post but the Canadian singer hasn’t replied as of Saturday morning. She did reference the Olympics in a Feb. 16 post that included a video of her performance at the 1996 Summer Games in Atlanta, Georgia: "The amazing athletes at the PyeongChang Olympics are giving their all! Let’s celebrate and congratulate them as they are realizing their dream!" It was signed, "Team Céline." Team Canada isn't only winning medals in karaoke at the Olympics. They're in second place in the medal race, holding 29. 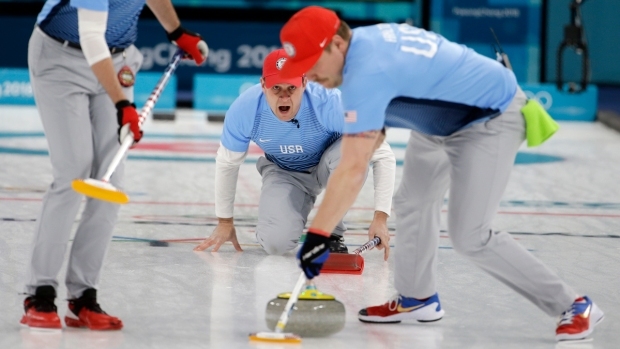 Norway leads all countries with 38 heading into the final day of competition.